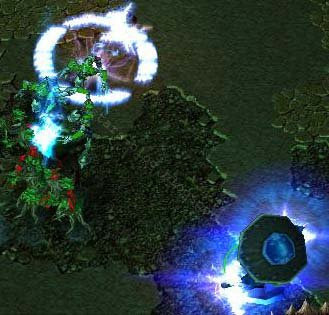 With 6.58 comes the much anticipated Storm Spirit remake. For now, we’ve managed to lay our hands on one of the betas. This guide is for the hero in his current state, though I expect changes before he’s finally released. Though there are many who liked the old Storm Spirit, most people agreed that he was too ineffective in his role and needed a remake - seeing as he lacked any nukes or disables for early game, and requiring more high level damage items before he could match up to other DPS heroes. The new Storm Spirit retains his previous role of DPS-er, and comes with plenty of AoE damage, a disable and an incredibly fun ultimate. A single point in Overload is taken so that you can harass your enemies, using the low mana cost and cooldown on Static Remnant. At level 4, you can chain Energy Vortex with your ally’s stun, and move into melee range of the target and cast Static Remnant. Static Remnant is our primary nuke, so we max it out first. 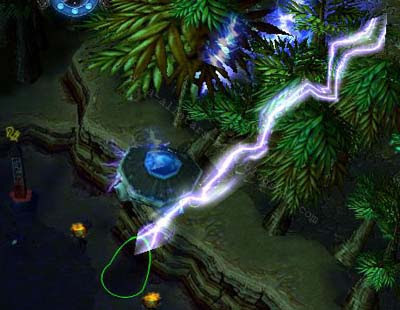 At level 7, you can use Ball Lightning to move behind the enemy and cast Static Remnant in his escape path. Next we max out Overload, allowing us to farm rapidly. Spend a few minutes rapidly killing neutrals after level 11. Finish off Energy Vortex by level 14. By now you should be a feared DPS-er. This is a late-game-power-house skill build. If you want to focus on ganking instead, max Energy Vortex sooner, instead of Overload. 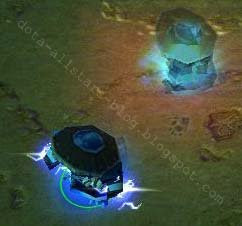 Guinsoo’s and Orchid give useful disables so that you can keep the enemy within range of your Static Remnant spam, as well as increase your mana regeneration and total mana. Bloodstone and Linken’s further increase your mana regeneration and mana pool, as well as some much needed surviability. Travels allows you to chase better. Phase isn’t suited for this, as Phase will be disabled when you cast a spell, and you can use your ultimate to move through creeps anyway. You could get Treads instead, if you need some quick HP. The IAS isn’t really needed, as you already have a high agility gain and Overload is no longer dependent on your number of hits. A full Magic Stick or Bottle ensures that you have enough mana to use Ball Lightning in a tough situation. Use Ball Lightning to initiate from ~600 range. Attack once to use OVerload and slow the enemy. Cast Static Remnant, making sure to cancel the attack animation. Attack once again. Cast Electric Vortex to prevent the enemy from escaping. Attack again. By now Static Remnant will have cooled down, so cast it again. Use any disable you have (Guinsoo, Shiva’s, etc.) Finish with Ball Lightning if necessary. This combo will take from 400-600 mana, so choose your items carefully. Cast Static Remnant while you’re being chased by enemies. They’ll see the cast animation and will have to move around the remnant, or take damage. Make sure that you cancel the animation though, or you’ll allow the enemy to catch up and kill you. Use your ultimate’s ability to cut down trees to speed up neutral creeping. Combined with the AoE damage from Static Remnant and Overload, you can kill neutrals extremely fast. Invest some time in the jungle mid-game so you can farm your items faster. anyone know how to cancel the animation on the static clone move? i cant figure it out for the life of me. Ball of Lightning = OMG! 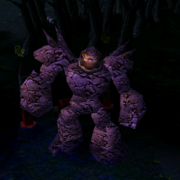 Hey, does anyone know what the base ability for Ball Lighning is, I'm trying to make a fire version for my DoTA. For the people commenting that the people who post the guidelines here are weak, noob, stupid etc. Please be inform that this is a guide for beginners and can be a supplement for pro player's. Don't talk rubbish if you don't know why this guide spot is created. find me on garena.. if u want newbie... bstd.ghudo try me... just pm...weak!! i was tripping out in 6.67b when i discovered that Linken bug works here!! if u r in wtf mode! although u a r already using B.L use it again!! 5. When your S Remnant has finished cooling down, Cast it. 9. Continue casting ball lightning. At the same time, cast static remnant. If you're going to die, ball lightning many times. (Target farther from your enemy. Then B Lightning to the same place where you have casted your first ball lighning.) Continue. why does reverse polarity effect on BKB we know that is immune magic/spell because we are in avatar stage?. it is a bug? cmon? i need a answer? Early item should buy what..?? 1 or 2 green potion..
are this really work for early game..
juz ask cause this guide does,t show early item..
who got more idea about early item for Storm spirit is?? Storm is a very strong hero so guys read the guide and try it. If it doesn't satisfy your expectation then s.t.f.u . . . make your own game guide. 1:24: early item in raijin is a tango a salve and 3 iron wood branch and chick then farm for your flying courier, bottle and null talisman. haha! just want to say that just build some dagon then vaguard and im sure you will win the game LOLS! tis is noob item build~!!!!!!!!!!! !